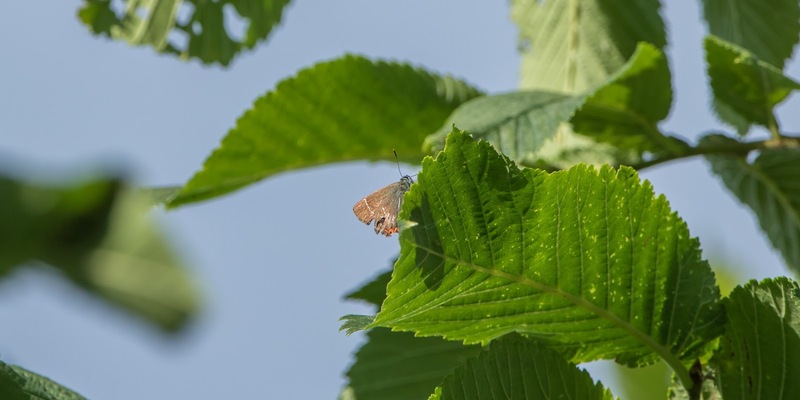 Last week, I found a colony of white-letter hairstreaks and was excited to find five individuals in the elm-lined bridleway that leads to the equestrian centre, but was disappointed not to get any photos. So on Thursday morning I returned at 8am for another attempt. 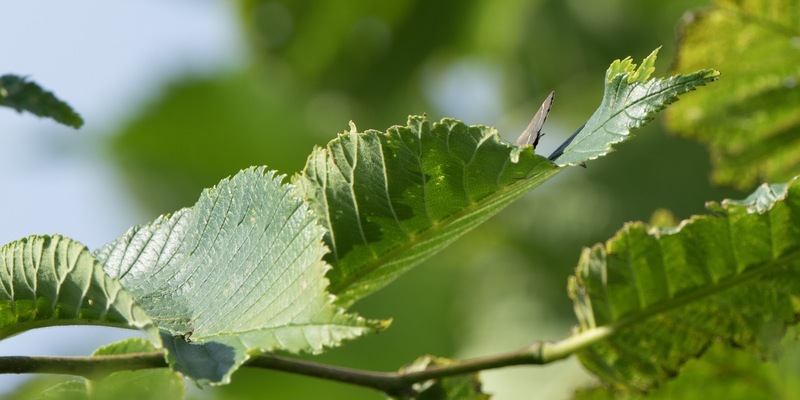 This time I counted at least twenty butterflies, on occasion flying in fighting groups of three or four high above the elms. 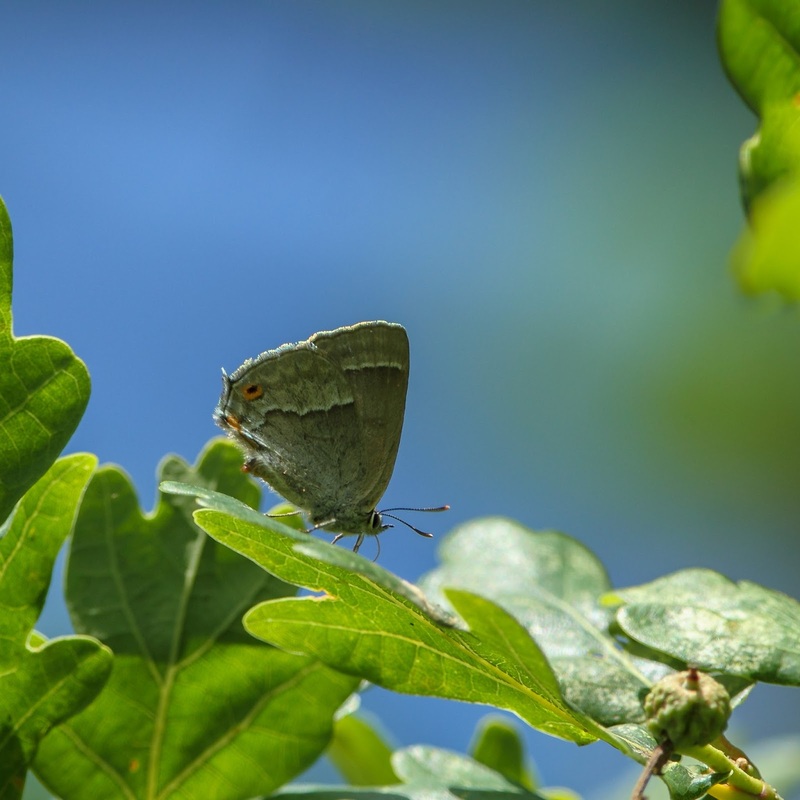 Indeed, I tracked one butterfly as it flew across the top of half a dozen wych elms, sending up two or three other butterflies from each tree in their territorial spiral flights. 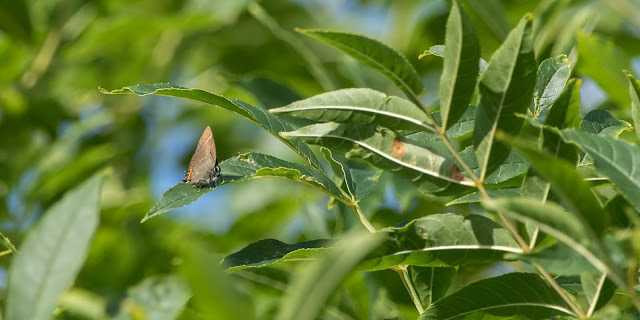 It must be one of the best colonies of white-letter hairstreak for miles in every direction and certainly the greatest population I've ever seen. 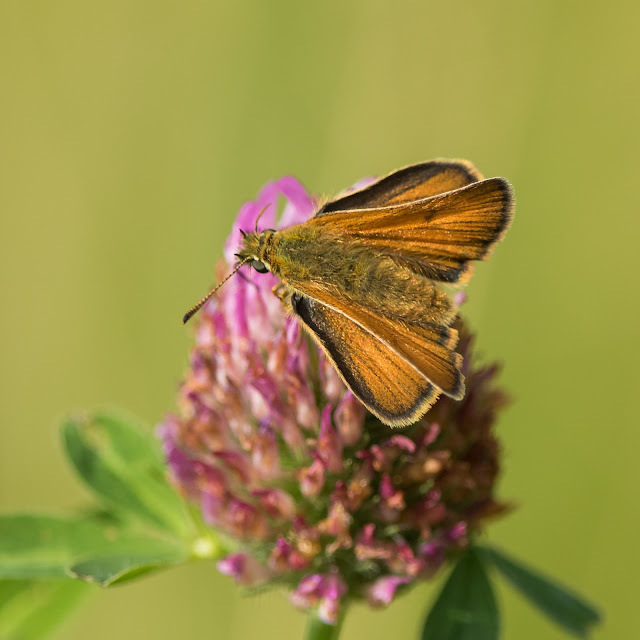 The abundance of butterflies made sighting them sat still much easier and photographing them possible. However, they remained high in the treetops so views were distant and frustrating. 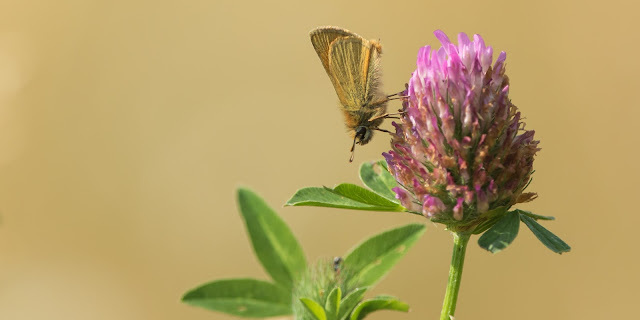 On my initial visit the butterflies looked quite fresh, but closer inspection revealed them to be worn, suggesting they've been flying for a week or more already. The following photos represent the normal view you'll get of a white-letter hairstreak; distant, hidden and cryptic! Satisfied with my white-letters, and knowing they favour the early morning sunshine, I stopped off at St Wilfrids on my way home from work this-evening in the hope of finding purple hairstreaks. 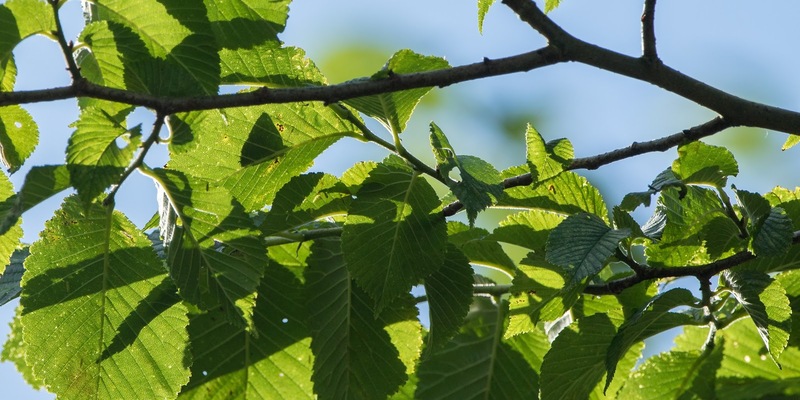 Within just a few minutes, I spotted one flying from the grass into a large oak tree where I lost sight of it. I was gutted that I didn't see it on the ground as they are notoriously difficult to find at eye-level. Still, it marked the 18th species on the patch this year and a welcome tick. A few more very brief sightings followed as insects briefly flew from leaf to leaf but I was unable to get a photo. This image was taken at the same spot on this day last year. This weekend I will search for small copper and see if I can't discover another population or two of hairstreaks in Langton Woods. As always, please click on the photos to see them in full resolution and with colours rendered properly.